Since the first time I watched its trailer, it got me really excited to see the movie. A genius that's making millions and it is in Thai? A must watch! Call me bias but I have always find Thai movies are of great cinematography and almost all the times, funny (in a good way). 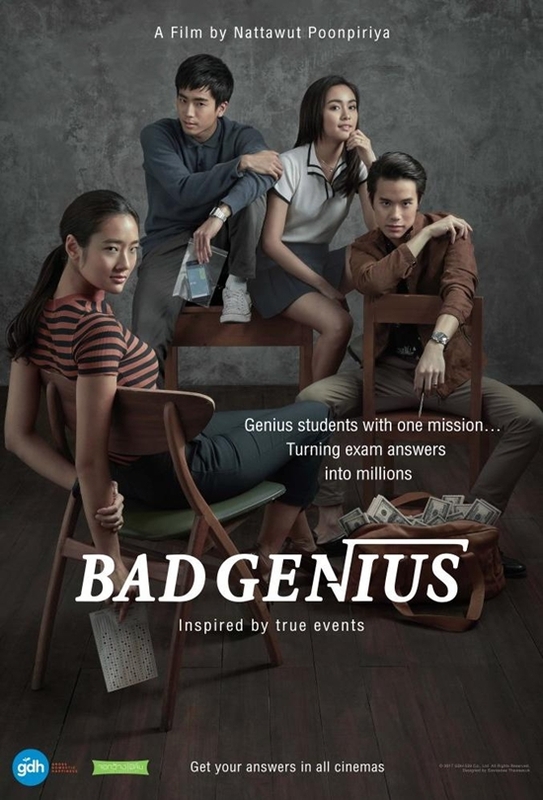 So thanks to Klips My for inviting me to the premiere of Bad Genius. Lynn is a genius. Her father wants her to transfer to an elite school so that she could have a better chance in education. However, the fee is too expensive for her father to bear as he is just a teacher. When the headmistress offers her a scholarship to stay in the school, Lynn grabs the offer almost immediately. Err.. I can see that you are wearing a bright pink undergarments from here. You realised that our uniform is white right? She made friend with Grace on her first day at school and they were good friends ever since. Grace is not necessarily a bright student. 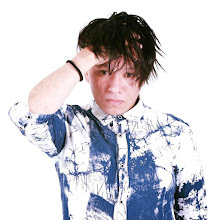 She confides to Lynn that she might not be able to join the drama club as her CGPA is not up to the requirement. 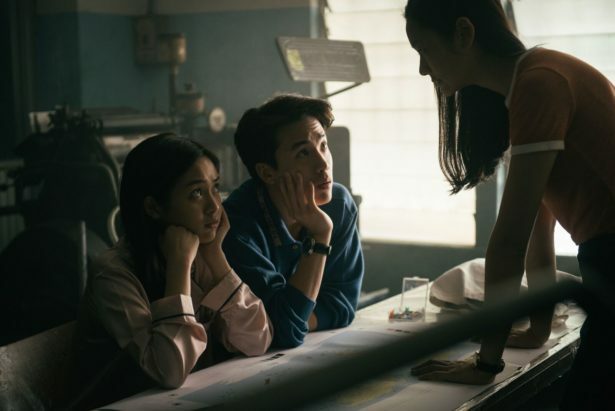 Lynn tries to tutor her but when she sees Grace breaks down during the examination day, Lynn thinks of a genius way to help Grace with her paper - by sharing the answers in an 'innovative' way. Pat (Grace's boyfriend) learned about the assistance and proposed that Lynn started to help others in passing their exams, with fees. Contemplating about the offer, Lynn devised a way to share the answers with others without anybody noticing - via the strokes of the piano keys. Soon, more and more students learned about the 'Lynn's Private Piano Lesson' and wanted to be in. Because studying in classroom is too mainstream - so we chose rooftop instead. When Bank, another genius in the school, caught his friend in the act of copying answers from Lynn during an exam, he immediately reported the case to the Headmistress. In the Headmistress room, Bank learned that it was Lynn who had helped his friend to pass his exams. Lynn was reprimanded which suspends her scholarship, as well as her chance to apply for an international scholarship at the university level. When Pat's parents want to send Pat and Grace to the US to further their study and fully sponsored by the parents, Pat once again asked Lynn to help them to ace STIC - an international standardised test for university admissions, with an enormous amount of fee of course. Tell me the truth, do you like the smell of my hair? | Er....yes. It smells like ...baby powder? My eyes are up here ok, not down there. | Ain't nobody looking down there! Realising that there will be a large amount of profit that she will be getting, Lynn was tempted to assist Grace and Pat but the thing is, she needs another accomplice to ensure that the plan is fail proof. And that accomplice has to be a genius too. The problem is, Bank is eligible for an international scholarship and apparently will not be needing the extra money. Are you sure we are in the right classroom? So many ..... white people here! Will Lynn be able to help Pat and Grace with their plan? Is it really fail-proof? Plot: 4.9/ 5.0. The plot is simple - plan, cheat and run away with it. With the twists thrown everywhere in the movie, the storyline gets interesting with every minute. Cast: 4.9/ 5:0. Thumbs and toes up to all the actresses and actors! They did their characters justice and more. I love all of them! Every single one, up to the supporting actors and actresses too! I would love to watch this movie. Your movie review so interesting. baca review awak terus rasa nak tengok..
Oh! I saw the trial of this one too. It is very interesting, I'm hoping I can watch this one. My friend actually told me that this was bad and not worth watching. But I trust your review more lah! Since your review is so high, might watch. Hope it's nice. Heard so many positive review on this movie.. Maybe should find a time to watch it! This certainly looks like a nice story! Would be glad to watch it when it's screened on Singapore! Everyone been talking about this movie and one of my friend says the movie is worth to watch. Unexpected genius mind. I'm going to watch this movie this week. The trailer look amazing.thank for the review also. Am curious of this movie. Do they have subtitles? The story sounds interesting..will look up for it..
everyone said this movie is worth to watch. i'll go watch it later. Yes. They have great subtitles. I saw a lot of good review on this movie!!!! Definitely will watch this. Wow this is awesome! i try to search for this movie. Thanks for the review.